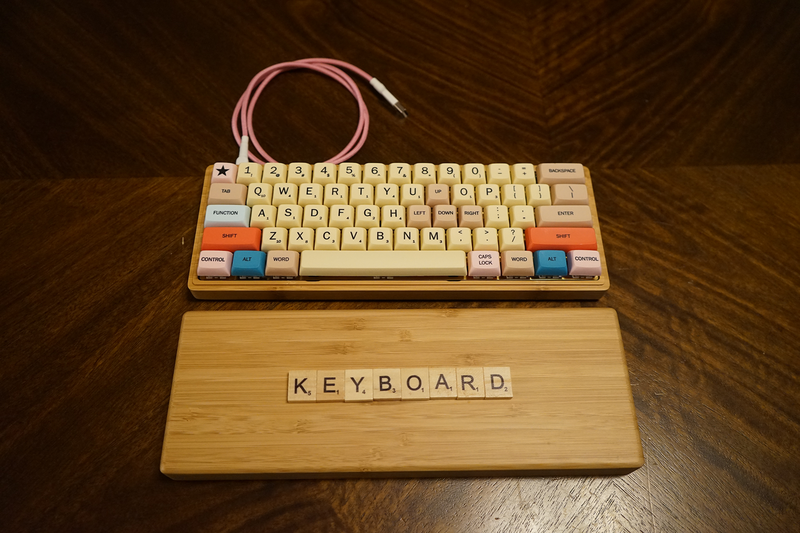 I built another keyboard! 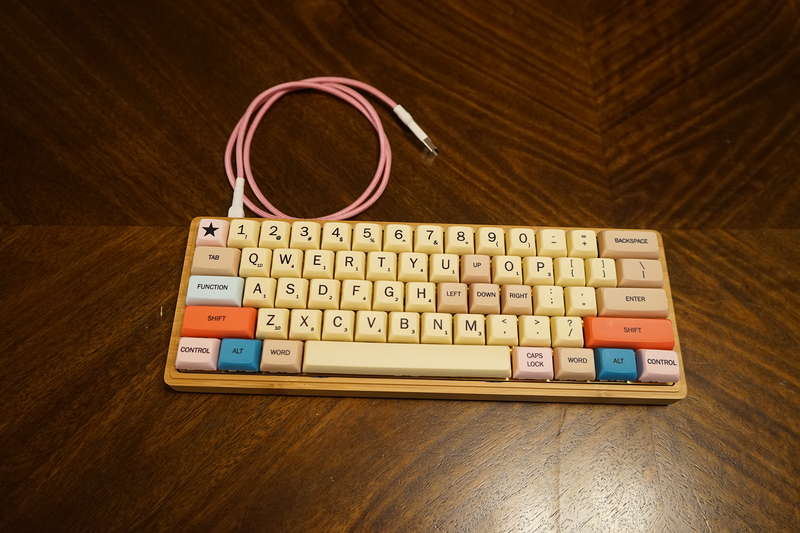 It's probably the last one I'm going to build for a while because it's just ridiculous to have this many keyboards when you only have one computer you use them on. But it's by far my favorite. 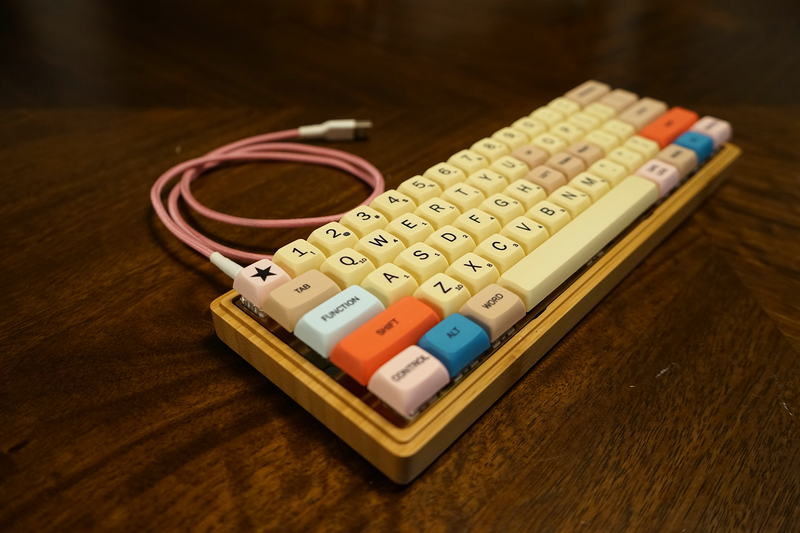 I spent months collecting parts and I couldn't be happier with the results. 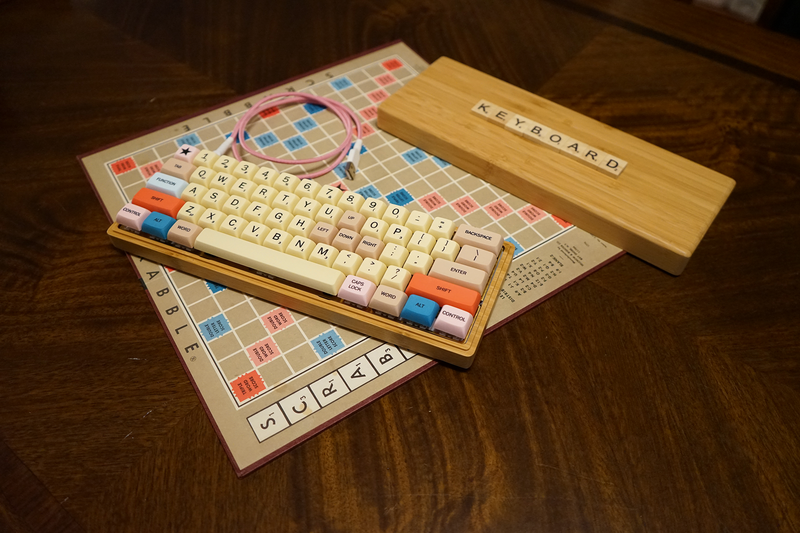 NPKC Bamboo Case - I got it off of Massdrop, but you can usually find them around if you search eBay, Amazon, /r/MechMarket, etc. 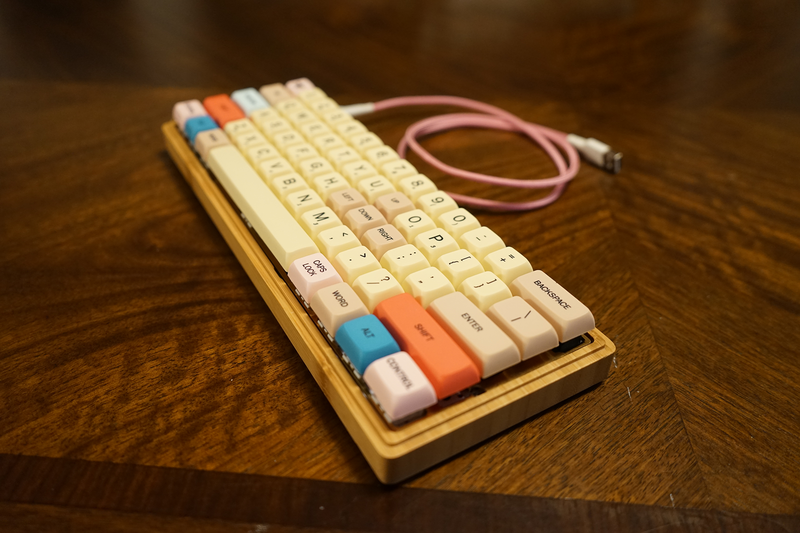 Brass 60% Plate - from KBDFans. S60-X PCB - From Sentraq. It has RGB underglow that I don't need in this particular build, but I love their PCB. It's so easy to program and so easy to solder. 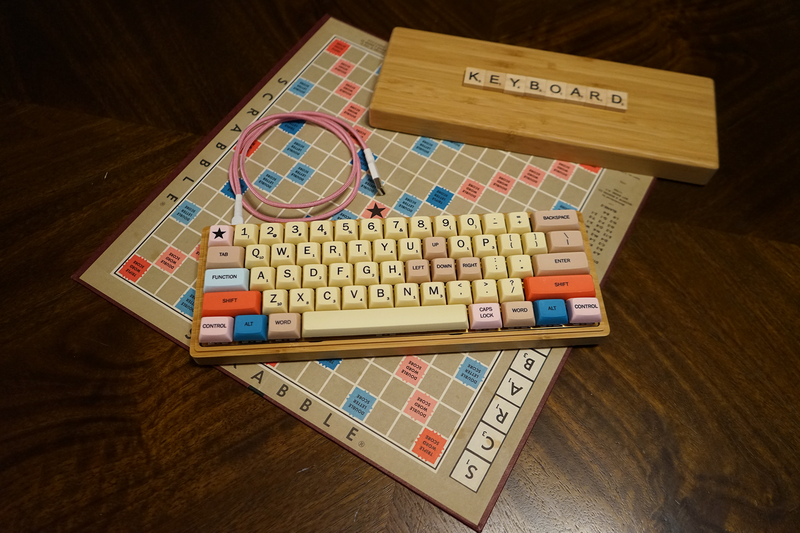 Sleeved USB Cable - from WASD. There are plenty of places to get cables. I love ZapCables, but they were backed up. 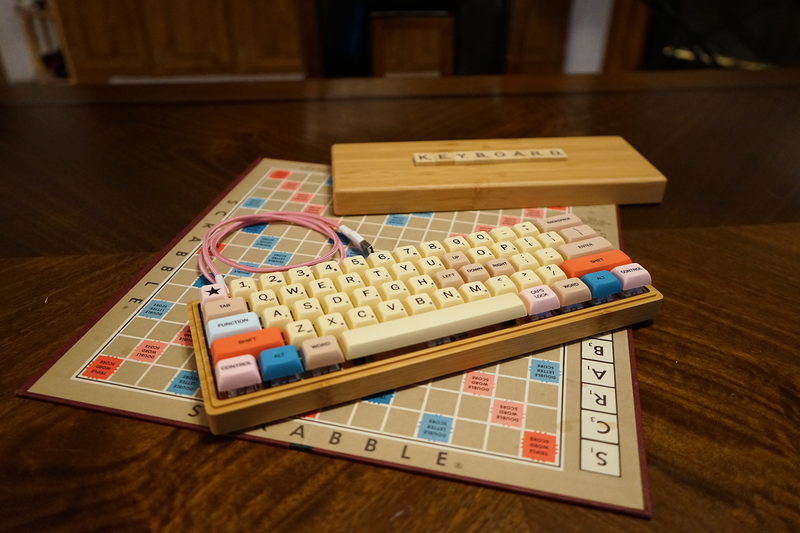 The cable I got from WASD is very nice, too! Frankenstein Stabilizers - I ended up combining the inserts of some clear Cherry-MX compatible stabilizers from 1Up Keyboards with the bases for some other Cherry stabilizers I'd gotten off of eBay. Some of the eBay ones had damaged inserts and the 1Up ones had a couple of broken bases (my fault, not theirs). The end result was actually a very nice stabilizer. 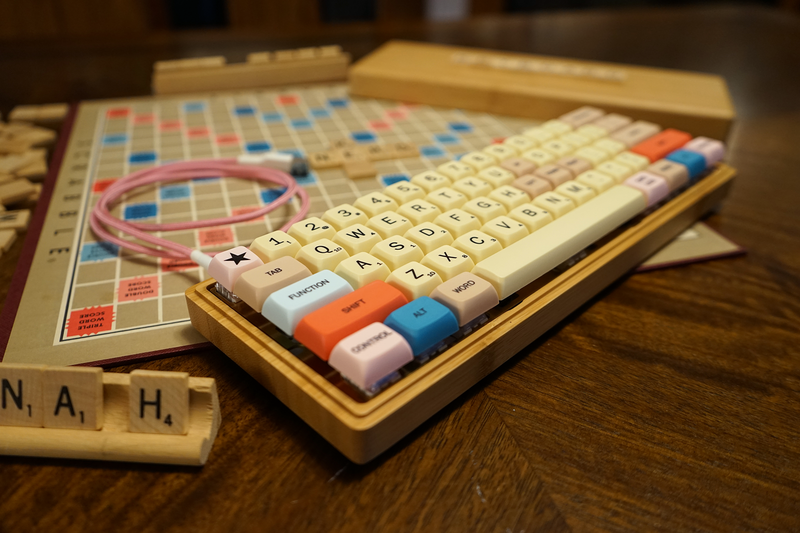 XDA Scrabble keycaps - from Massdrop. If you want them at this point, you'll have to buy aftermarket, or wait until anther drop, unfortunately. I also used a tiny bit of lithium grease for the stabilizers, 60/40 rosin core solder, and my soldering iron of choice is a Hakko 888D. 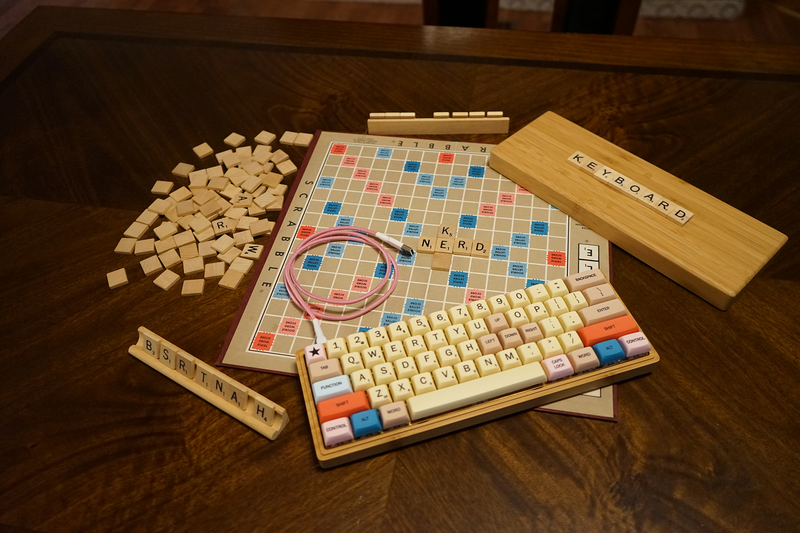 Oh, and I bought a replacement set of Scrabble tiles off of Amazon and, with the help of a little wood glue, spelled out "KEYBOARD" on top of the case.